Project Blue Book was operational for a time (1952-1969) during the long history of the cover-up over the alien presence. Its goal was to debunk any and all sightings that the public might document or claim. The excuses for any actual UFO sightings were laughable – swamp gas, satellites or airplane lights, mass hysteria, or a hoax. Now that disclosure is being pushed and many countries are opening up their files, some of the Blue Book archives have been made available to the public. The Daily Mail recently featured a couple of them, notably explainable in non-alien terms. 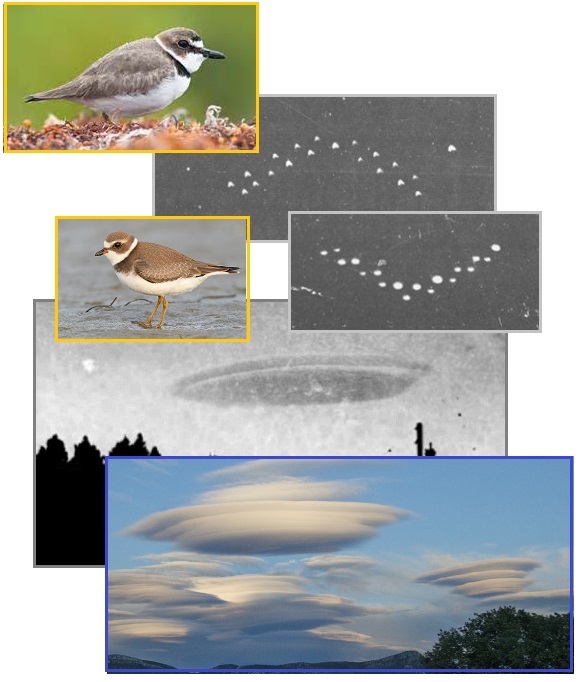 One was clearly of a flock of birds, as the white spots in the formation are of different and irregular shapes, and another is a lenticular cloud. Real UFO’s are apparently not to be forthcoming from the US Blue Book files, at least not yet. But unlike the past, where the topic of UFOs was suppressed, the media is suddenly abuzz about the Blue Book archives being opened. In addition to the Daily Mail feature, CNN, Huffington Post, and the Daily Kos featured the topic. The US government recently revealed its investigations into 12,000 encounters with UFOs spanning between 1947-1969. Microfilms of these cases, collectively known as Project Blue Book, have become available for anyone to view online. One of the most famous is the Lubbock Lights incident, which was reported on August 30, 1951 in Texas by three professors. The USAF said that these lights were most likely caused by birds named plovers, whose white breasts could reflect lights from the city below. Image titled 'Winter 1951' was taken in New Zealand. While the photographer believed this to be a flying saucer, the USAF concluded that it was in fact a lenticular cloud. Lenticular clouds, when they form over a mountain, are often called cap clouds — because they look like they’re forming a cap on the top of the mountain. Some people have mistakenly reported them to the authorities as UFOs! NASA has always been accused of hiding any images taken during the Apollo flights or from the ISS, all the while denying that the alien presence existed. But lately, in step with increasing and gradual disclosure, they have become a bit sloppy. At least two recent UFOs have been captured in live feed from ISS, in October and again in December of 2014, as Issue 432 of this newsletter details. Now in January, 2015 this happened again, and once again NASA quickly dropped the live feed, but not before a clear image was allowed out to the public. They did it in the sixties. And they're still doing it now. 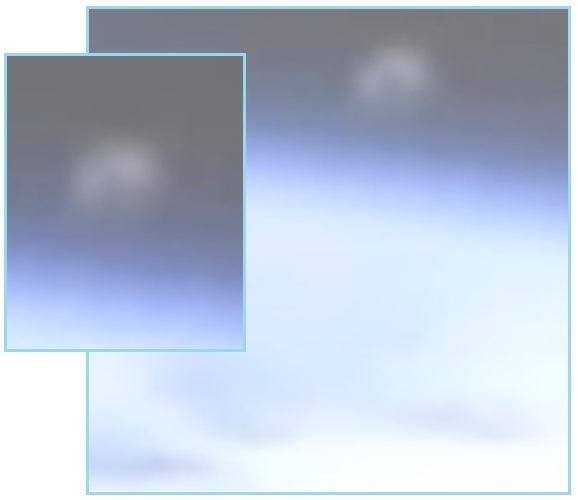 A strange grey UFO has caused something of a stir in the conspiracy community after NASA caught the object on its ISS live feed camera and then promptly cut the lived feed as soon as it appeared. The clear shot of a distant but distinct object which appears to come into view at about the same level as the space station’s 275-mile high orbit, is quickly replaced by a message informing viewers that the NASA High Definition Earth Viewing Experiment is experiencing some sort of technical difficulties. The UK has opened up to allow media discussion on proof of the alien presence in the stratosphere. Two UK professors had gathered data on odd biological particles found in the stratosphere, by sending up a research balloon. What they retrieved was more than biological particles, as they found little circular puff balls made of biological material and titanium! Hardly natural. Hardly having risen to the stratosphere by winds as their weight would have kept them lower. The conclusion? Aliens are trying to seed the stratosphere. Is this Picture a 'Seed' Sent to Earth by Aliens? The never-before seen image shows a microscopic metal globe spewing out biological material feared to be an infectious agent. It follows findings that DNA capable of inserting itself into living creatures and replicating can exist in harsh space conditions. A tiny ‘plasmid’, a circular strand of DNA used in genetic engineering, was sent into space from Sweden in 2011 on the exterior of a TEXUS-49 rocket. After enduring 1,000C heat it was found to still be intact and with its biological properties when it returned to Earth. It is a ball about the width of a human hair, which has filamentous life on the outside and a gooey biological material oozing from its center. We were stunned when X-ray analysis showed that the sphere is made up mainly of titanium, with a trace of vanadium. 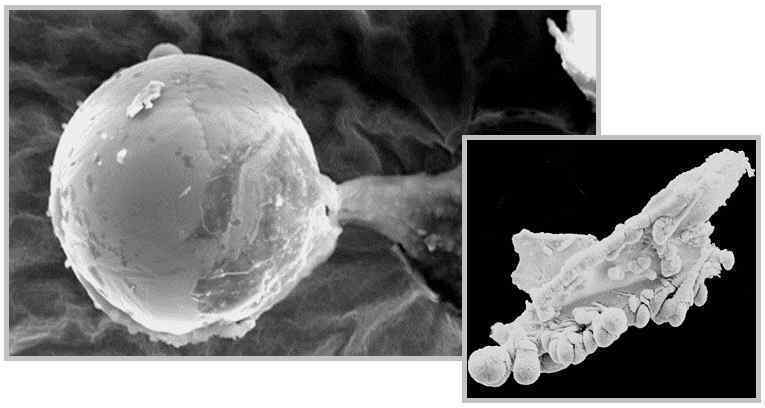 It was discovered in dust and particulate matter gathered deep in the Earth’s stratosphere. Its finders say it is a “biological entity” made of carbon and oxygen - the building blocks of life. And the scientists who made the incredible find insist there is no way it could have blown up into space from our planet - and so must have originated elsewhere in the universe. ZetaTalk Insight 1/31/2015: Is the Earth still being seeded with biological components? Yes, but it is not what some fear. This is a healing process. We have stated that potentially life bearing planets are indeed seeded to kick-start life. Life obviously begins naturally without such an assist, else how did the first intelligent beings arrive if not by this route? Seeding is done to expedite life, and genetic engineering done to expedite intelligent and conscious life capable of sparking souls. Earth has regularly received microbes from Mars and the Asteroid Belt, so these are not foreign to the Earth and clearly the Annunaki traveled between the Moon and Mars and Earth without biological distress. What type of healing is being done to Earth’s stratosphere by benign aliens working on behalf of the Council of Worlds? Earth’s atmosphere has been under assault not only by man, who pollutes the Earth’s atmosphere with impunity as well as the Earth’s oceans and soil. But beyond that, the wafting charged tail of Planet X changes the composition of the atmosphere. If electro-magnetic charge affects man and his infrastructure, it likewise changes the chemical reactions in the upper atmosphere. Volcanic eruptions likewise are a factor. Just what healing is in process is too complex to explain to man, who is barely beyond the stage of thinking the Earth is flat, so we will leave it for man to speculate. The push for disclosure while the alien presence is still officially debunked is not an easy task. One approach is to treat it like a puzzle. Is this, or is it not a shadow of a man on Mars tending to the Rover? The image was in fact part of a series of images provided by NASA in 2012 to showcase the Rover’s revolving cam. Why is it suddenly going viral in the media in 2015, presented as a new photo? Per the Zetas, to provide a teaser to hook the public into reading about methane on Mars, which is a real sign of past life on Mars. In addition to being a featured article in the Daily Mail, this issue was featured in Huffington Post, and the Houston Chronicle. Life on Mars? New NASA photo shows workman fixing space Rover on the Red Planet, conspiracy theorists claim. New pictures have been released by NASA showing Mars Curiosity Rover. The probe is currently on the Red Planet scanning for signs of life forms. It was announced in December that an instrument on the Curiosity Rover had identified spikes of methane that scientists believe may have come from bacteria-like organisms on the surface of Mars. The new discovery, reported in the journal Science, followed studies of gas samples by Curiosity's Tunable Laser Spectrometer (TLS) - an instrument that uses intense light to carry out chemical analysis. It revealed a low background level of methane, which spiked 10-fold over a period of just 60 Martian days. ZetaTalk Insight 1/31/2015: Why has this 2012 image provided by NASA suddenly gone viral on the Internet, including on respected media like the Daily Mail? 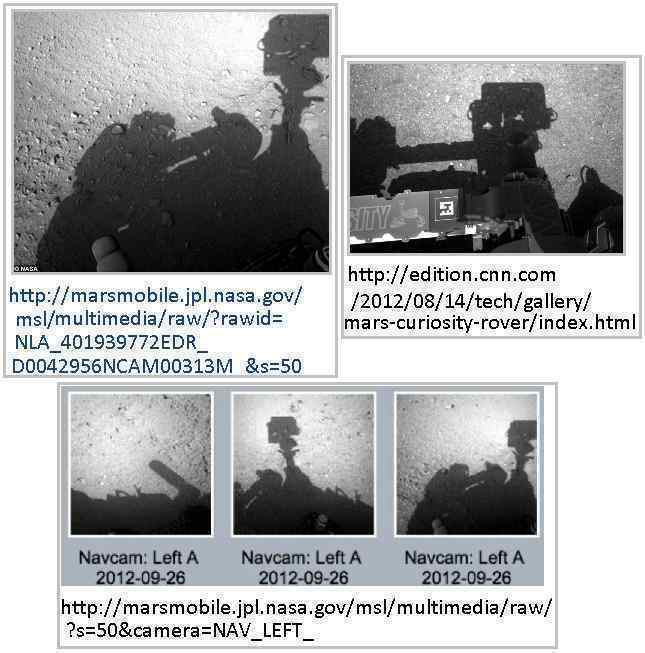 A bit of research on the matter shows that this 2012 photo is among many provided by NASA in 2012 showing the Rover in shadow, as the Rover and/or the camera turns to scan a different view. The shape of the shadow changes depending upon the angle of sunlight. Clearly just parts of the rover. The question is not what the image is showing, but why is the image suddenly back in the news? The Daily Mail article quickly shifts from the Man on Mars debate to Methane on Mars. The establishment is trying to expedite disclosure, but debates about methane gas and bacteria on Mars have not grabbed the public’s attention. What to do? Throw out a teaser. Once you’ve got their rapt attention, switch to methane. Compare the media blitz to this Man on Mars puzzle to a similar puzzle out and about on the Internet only months ago. 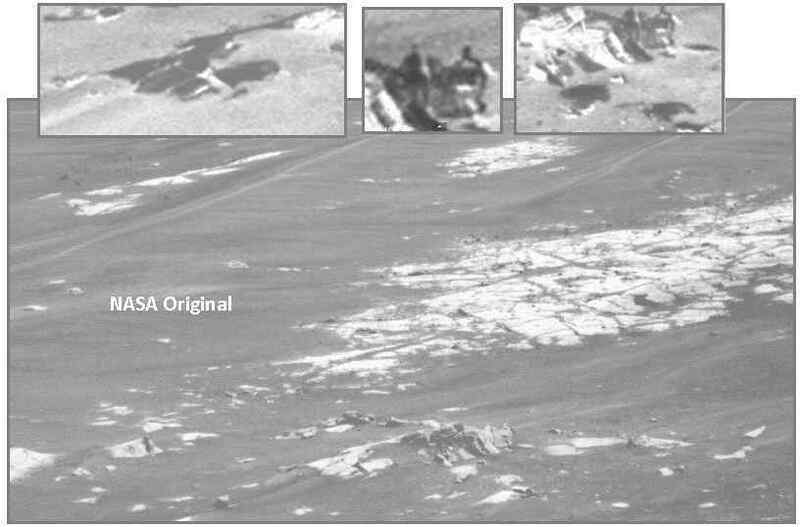 A NASA photo from the Rover became the subject of the Paranormal Crucible website on October 15, 2014 as it appeared to show a couple men working on a crashed ship. But this did not make it into mainstream media. The big push for disclosure on life elsewhere in the Universe and life on Mars and UFOs visiting Earth is only recent. ZetaTalk Comment 10/18/2014: The Mars landscape in this capture has both light and dark rocks, from different origins. Mars has had volcanic eruptions in the past, as well as the usual rock formations from sedimentary soil. Close examination shows that the supposed hominoids are formed from black rock, or rock strips along lighter colored rock. And the excuse that parts of the “ship” are buried in sand is not convincing. Beyond gradual disclosure on the alien presence, we are also finding the media returning to the issue of a gravity pull out beyond Pluto. This was of course the old Nemesis discussion in the early 1980’s, which stopped abruptly when NASA and JPL went looking for Planet X with an IRAS balloon high in the atmosphere and found it. This hit the front page of the Washington Post on December 31, 1983 and was thereafter promptly debunked. Planet X as discussed within ZetaTalk and Nibiru are of course one and the same, as this traveling planet is known by many names – the Lord, the Destroyer, the Red Star, Wormwood, etc. With bounding curiosity and a theory to establish, astronomers are searching the northern skies for a star they call Nemesis, a small, dim companion of the Sun. Nemesis may or may not exist, but the quest goes on and soon will expand to the southern skies. Other astronomers, similarly inspired, have revived interest in finding Planet X, the putative body that has long been sought beyond Neptune and Pluto. They are examining new data from a spacecraft for evidence of the planet's existence. For several months now the possible mechanism that has stirred the greatest interest and debate is the one involving the Sun's theorized companion star, Nemesis. Or ''death star,'' as scientists sometimes call it. A heavenly body possibly as large as the giant planet Jupiter and possibly so close to Earth that it would be part of this solar system has been found in the direction of the constellation Orion by an orbiting telescope aboard the U.S. infrared astronomical satellite. So mysterious is the object that astronomers do not know if it is a planet, a giant comet, a nearby "protostar" that never got hot enough to become a star, a distant galaxy so young that it is still in the process of forming its first stars or a galaxy so shrouded in dust that none of the light cast by its stars ever gets through. The mystery body was seen twice by the infrared satellite as it scanned the northern sky from last January to November, when the satellite ran out of the supercold helium that allowed its telescope to see the coldest bodies in the heavens. The second observation took place six months after the first and suggested the mystery body had not moved from its spot in the sky near the western edge of the constellation Orion in that time. 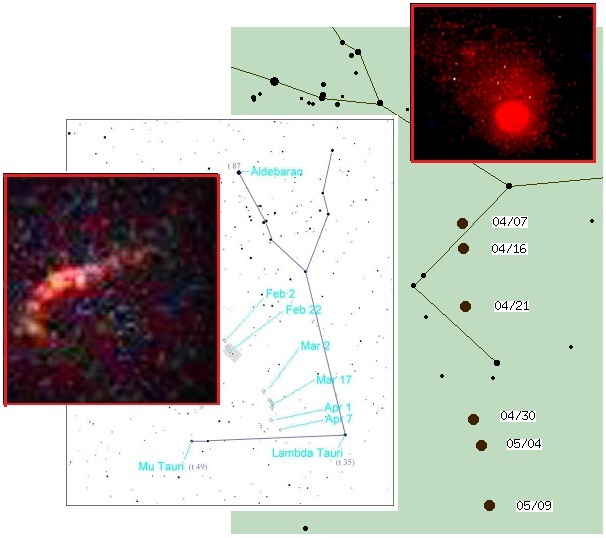 Periodically the argument that there is some gravity presence out in the direction of the constellation Orion re-emerges, as noted in these newsletters in 2010 and in 2012. Now NASA boffins believe they will be able to find Nemesis using a new heat-seeking telescope that began scanning the skies in January. ZetaTalk Comment 3/13/2010: Seeing the losing battle over what is appearing on the SOHO and Stereo images for the past year, they have started a backwater campaign hoping their version of events will catch on and become viral on the Internet. Their WISE probe discovered a rogue planet, visible at a distance only in the infrared spectrum, and now it is approaching Earth! Expect this version of events to emerge just ahead of the time when man can see the Planet X complex in the skies themselves, daily, unassisted by a probe. The evidence for 'Planet X' - the mysterious hypothesised planet on the edge of our solar system - has taken a new turn thanks to the mathematics of a noted astronomer. An astronomer at the National Observatory of Brazil in Rio de Janeiro, says the irregular orbits of small icy bodies beyond Neptune imply that a planet four times the size of Earth is swirling around our sun in the fringes of the solar system. ZetaTalk Explanation 6/2/2012: What if a body were visible, for months or years, so the public became restless and rebellious? While frantically ridiculing Nancy and ourselves, they had their cover-up minions purport that Planet X was “out past Jupiter”, and spread rumors of spots that Google Sky would not display. All the while, of course, Planet X and its Moon Swirls were showing up on SOHO and Stereo images, seen naked eye. Of course, Nibiru arrived in 2003, in the spot and at the time predicted by the Zetas some 7 years earlier, but how is the establishment to just leap into the topic by announcing that it has been near the Sun since 2003? Gradually educating the public, a creeping disclosure, is apparent. Now in 2015 the argument is back again, but this time with a twist. ZetaTalk and Nancy Lieder are also on the popular Inquisitor site. Thus, in addition to reviving the old Nemesis argument, they are doing their part to introduce ZetaTalk and Nancy Lieder to the world! At Least Two More Planets May Exist Beyond Pluto. January 16, 2015. A new study suggests that at least two more planets are circling the sun far beyond Pluto’s orbit. The analysis is based on calculations of bodies located well past Neptune, regions of space that include the Kuiper Belt, the scattered disk and the Oort cloud. Instead of randomly flying through space, 12 of these so-called “extreme trans-Neptunian objects” (ETNO) show some unexpected symmetry. The study was based on calculations of the gravitational influences a large object would have on smaller, distant bodies. The research is published in the Monthly Notices of the Royal Astronomical Society. At about the time scientists gave up the search for Planet X in the early 1990s, Nancy Lieder, who founded a website called ZetaTalk and claimed she was in contact with extraterrestrials from the Zeta Reticuli star system, proclaimed that she had been instructed to warn mankind that a large planetary body she called Planet X would pass into the inner solar system and cause the Earth to undergo a pole shift that will destroy human civilization. She claimed that Planet X, about four times the size of Earth, would arrive in May 27, 2003 with catastrophic consequences. When her prediction failed, others who had adopted her ideas associated the cataclysm with the December 21, 2012 Mayan apocalypse. 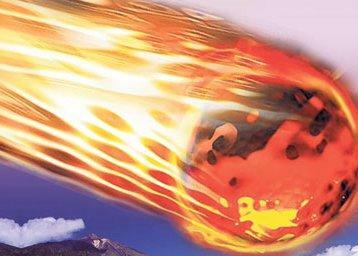 They adopted the term “Nibiru,” originally a technical term in ancient Babylonian astronomy, but derived by internet doomsday cults from the work of the Soviet-born American writer Zecharia Sitchin, who claimed that human civilization was originated by the Anunnaki, a race of extraterrestrials from planet Nibiru beyond Neptune, on the outer edge of our solar system. ZetaTalk Comment 1/24/2015: By publishing the latest Spanish data on perturbations from objects out beyond Pluto, the Monthly Notices of the Royal Astronomical Society has reopened the discussion on why the outer planets perturb in the direction of Orion. Periodically these arguments appear in the media, and then are suppressed or ridiculed. With the advent of Obama’s decision to reverse Reagan’s Executive Order forcing this issue into secrecy for National Security reason, more honest reporting began. Roving or traveling planets, some of them potentially life-bearing, were admitted. 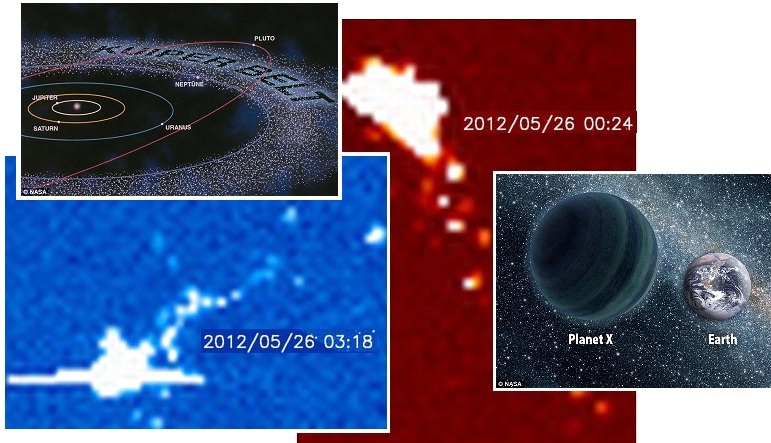 The visibility of Nibiru, aka Planet X in the skies, seen naked eye by the public and with clarity when a filter for light in the red spectrum is used, and even appearing on SOHO images, should leave no doubt. But the matter is still denied in official circles. Even the high drama and undeniable proof of Nibiru’s arrival into the inner solar system in 2003 has been suppressed. Is this not news? Since the advent of the Council of Worlds going to war with the cover-up, this issue has returned and those in the establishment are concerned about how to ease the public into the subject. New data, dredging up old arguments, is an obvious route. This will inevitably land the public new on this subject at the ZetaTalk website. ZetaTalk became internationally known and famous even before the 2003 arrival of Nibiru right on time and at the location promised by ourselves. ZetaTalk had the ring of truth, was able to predict with accuracy, and was unique in giving people the ability to interact with ourselves via conversations with Nancy. Thus Obama saw this as an opportunity to not only break the cover-up over the pending passage of Nibiru, but to also break the cover-up over the alien presence. Or was it Nancy who provided those coordinates on where to sight the inbound Nibiru?